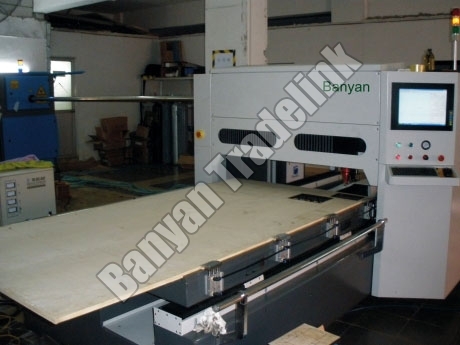 Laser Die Board Cutting Machine (H-I) is used for die cutting of 18mm plywood. We are engrossed in import, supply and export of Laser Die Board Cutting Machine (H-I) from Gujarat. The offered Laser Die Board Cutting Machine (H-I) uses the Laser Generator with a power rating of 1000W / 1500W. Customers can purchase the Cutting Machine at nominal rates.